Do debates affect a presidential race? Sometimes. Lester Holt is carrying the weight of the nation. On Monday, the NBC Nightly News anchor will preside over what may be the most highly anticipated presidential debate in American history. 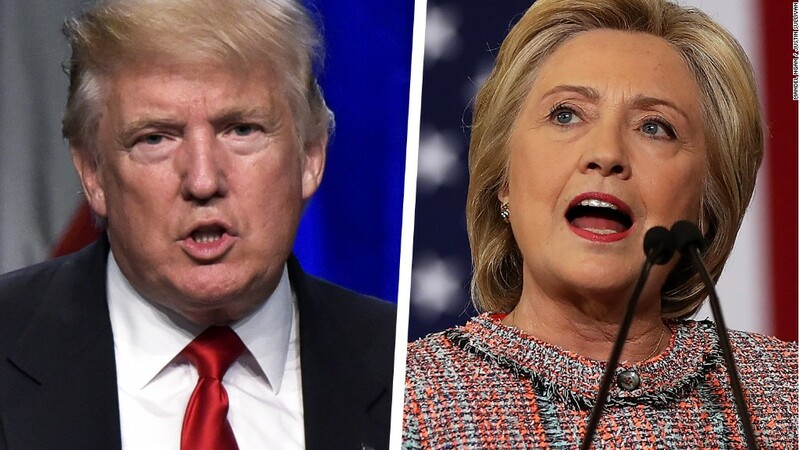 That debate, the first between Hillary Clinton and Donald Trump, will take place against the backdrop of the recent bombings in New York and New Jersey, the violent protests in the streets of Charlotte and the tensions of a country very much at odds over its future. It is an immense responsibility, and opportunity, for a man who once seemed destined to spend his career as NBC's quiet journeyman, working in the shadow of Brian Williams with no guarantee of his own time in the spotlight. But it is a responsibility Holt deserves and is extremely well-equipped to handle, several of his current and former colleagues said. To hear them tell it, Holt is one of the most focused, hardworking and modest personalities in television news -- the ideal candidate to moderate a presidential debate. "I have the highest professional personal regard for Lester," Tom Brokaw, the veteran NBC News anchor, told CNNMoney. "Don't underestimate Lester," one high-ranking NBC News talent said. "He's a professional. He does his homework and he doesn't show off." Holt has been underestimated before: When Williams was ousted at Nightly News last year (after lying about his experiences covering the Iraq War, among other things), the expectations for his replacement were low. Williams had been America's Newsman. Holt was barely a household name. The specter of a ratings decline loomed large. Holt proved skeptics wrong. He kept Nightly News on top in both total viewership and the 25-to-54 year-old demographic, scored exclusive interviews -- including three apiece with Clinton and Trump -- and gave a celebrated performance as moderator of a Democratic primary debate. Even more importantly, from NBC's perspective, he preserved a brand that had been severely tarnished. NBC is now looking to Holt to save it again. The 2016 campaign hasn't exactly been a banner cycle for the Peacock Network when it comes to high-profile events. CNBC was widely criticized for its handling of a GOP primary debate; "Today" show host Matt Lauer was pilloried for his handling of a presidential forum; throughout the campaign, MSNBC has been struggling to rebrand as a straight-forward news network while maintaining a pro-Clinton primetime lineup and a morning show co-hosted by on-again, off-again friends of Trump. If anyone can give NBC's reputation a boost, it's Holt. He has been in television news for 35 years. He spent two decades as a local reporter and anchor for CBS affiliates before joining NBC, where he has served as a national correspondent, weekend morning anchor, weekend nightly anchor, late-night anchor, fill-in anchor and, finally, Nightly News anchor. "Everyone pretty much loves him," one former NBC employee who worked with Holt said. "He has reputation of being a super hardworking guy. ... He also has a reputation for being very nice and easy to work with, even for the staff at the bottom of the pecking order. For on-air talent, there's a sliding scale in terms of how much work they make producers and other staff do for them. Lester has a reputation for being a guy who more than pulls his own weight. He's not a diva." In three-and-a-half decades, Holt also has no known record of bias or ethical conflict. Earlier this month, in an effort to work the refs, Trump said Holt was a Democrat. "Look, it's a phony system," he said. "Lester is a Democrat. I mean, they are all Democrats. Okay? It's a very unfair system." In fact, Holt is a registered Republican. For all of Holt's dedication, he still has a long ways to go before achieving Brian Williams' level of fame. Indeed, such fame may always be elusive, given the waning influence of the nightly news broadcast. But come Monday night, he will take the stage in front of a larger audience than he has ever had in his entire 35-year career. Anywhere between 70 million and 100 million people are expected to watch the debate, which means Holt's performance could very well cement his national reputation. But if he gives a command performance, he will, at least for a moment, be a national icon. Which is quite the opportunity for a man who once seemed destined to spend his career as a journeyman.